This mission of the Huntington University Police Department (HUPD) is to provide a safe, secure, professional, and positive educational environment for all faculty, staff, students, and guests of Huntington University. 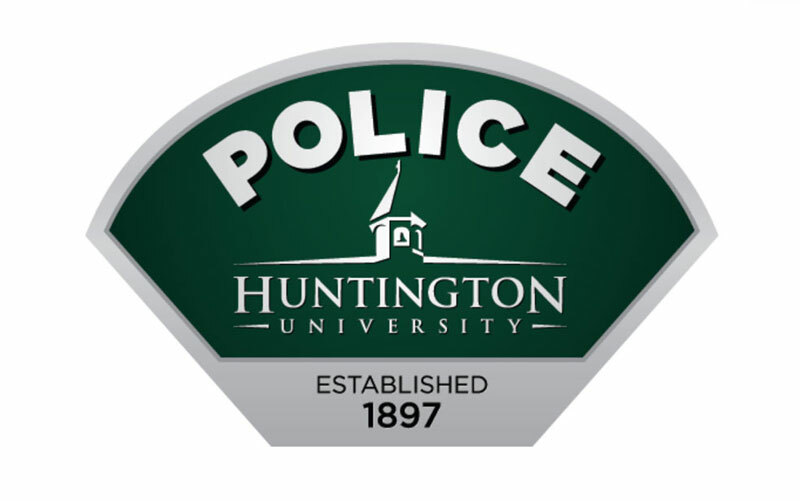 The HUPD is proud to be a supporting member of the Huntington University community and strives to deliver a quality law enforcement service by developing relationships through various forms of community oriented policing strategies. If there is no answer, please contact (260) 358-2308 or, if you need to speak with Police Chief Justin Faw, please call (260) 359-4035. To update your information, follow the instructions on the HU Portal. If you have a medical emergency, call 911. If you are in need of non-emergency medical assistance, there are resources available. Please review Huntington University's active shooter protocol, Run-Hide-Fight. Led by Chief of Police Justin Faw, 13 trained police officers are on staff to patrol the campus and are charged with the enforcement of federal, state, and local laws, as well as HU policies and regulations. All 13 officers are graduates of the Indiana Law Enforcement Academy. The police officers have the authority to make arrests and work closely with the Huntington City Police Department. The HUPD office is located in the basement of Wright Hall (Campus Map) with access to the office via the Wright/Hardy lobby or the mall. Justin Faw came to Huntington University in the fall of 2017 as the chief of campus police and safety. His main responsibility is to oversee the Huntington University Police Department. He returned to his alma mater after graduating in 1998 with a degree in physical education. He also holds a masters of science in public safety administration from Capella University. 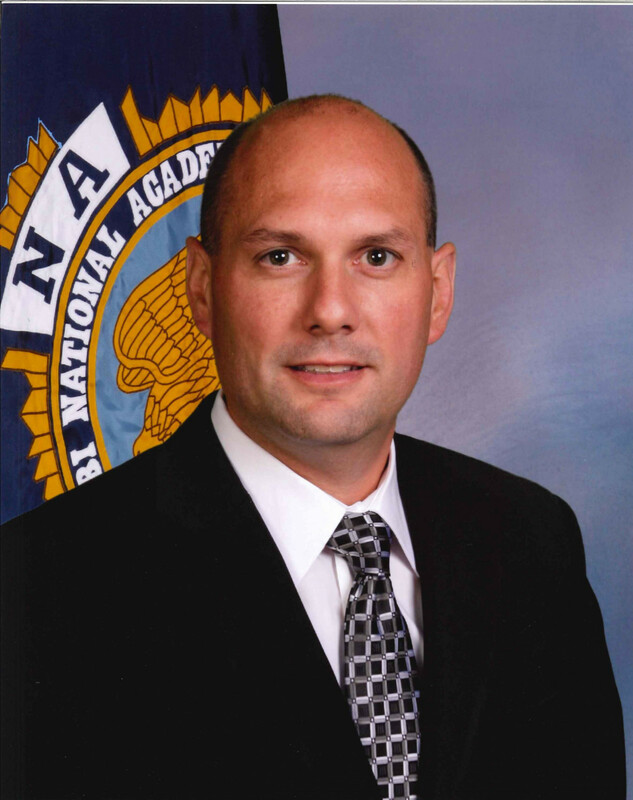 Before coming to HU, he worked as a police officer for the city of Marion, Indiana, since 1997. He spent over 20 years working on the force and held the ranks of corporal, sergeant, lieutenant and captain. He was assigned to the detective division for 12 years and worked a wide variety of cases. He also was a member of the SWAT team for five years. He was a graduate of the FBI National Academy in its 250th session. Less than one percent of all law enforcement officers in the world are accepted to this police academy. He is a certified crime scene investigator through the State of Indiana, certified child forensic interviewer, certified breath test operator and certified Indiana school safety specialist. If you have witnessed or been the victim of a crime, fill out the Huntington University Police Report form or contact the HUPD at (260) 224-1412. Skylar Beard has been a Patrolman for the Huntington Police Department since 2011. He has worked for the Huntington University Police Department since 2012. Brian Double has worked as a Police Officer for the City of Huntington fsince 2004. He also currently works as the School Resource Officer for Huntington City Schools. He has held this position for five years, as well as working as a part-time officer and instructor for the Huntington University Police Department. Jerry Harvey hsa worked for the Huntington City Police Department before offering his services to Huntington University’s Police Department. He has worked for Huntington City Police Department for 20 years. Carter Horne is currently a Detective Sergeant with the Huntington County Sheriff’s Office, and he has served on the Sheriff’s Department for 23 years. Deputy Dave Jackson has worked for the Huntington County Sheriff's Department since 2011. Prior to working for the Sheriff's department, he worked four years for the Huntington City Police Department and one year for the Ball State University Police Department. He also has worked part-time at HUPD since May of 2008. Malcom Jones has worked for the Huntington County Sheriff’s Department since 1998. Shane Jones joined the Huntington Police Department in 2002. Dave McVoy has been with the Huntington County Sheriff’s Department for 14 years. He graduated from Huntington University in 1991 with a degree in Business Management. Christian E. Newton has been with the Huntington County Sheriff’s department since 1995. Dale Osborn is a Patrol Officer for the Huntington City Police Department where he has worked fosince 1986. He began working for the Huntington University Police Department in March of 2017. Scott Winter has been a part of the Huntington City Police Department for three and a half years. He has served the Huntington University Police Department for one year. Jason Wohlford has been with the Huntington County Sheriff’s Department since 2015. Prior to working full time for the Sheriff’s Department, he was a Reserve Deputy for Huntington County for 4 years. Statistical information regarding campus crime as per the Crime Awareness and Campus Security Act of 1990 is available in the Campus Crime Brochure. Also available is the Huntington University Crime Log.